It has the perks of a BB cream, CC cream, and tinted moisturizer. Covers just enough to give you a dewy and non-caked-on look. And it has SPF. (Nothing I have ever has SPF so I feel like this is a groundbreaking improvement). I absolutely love it. I don’t feel like my face has make up caked on it. I also didn’t feel super gross while wearing it in the heat on my walk from the train. I call that a win. On the topic of wins, I also had basically the best breakfast ever at The Sandbox Cafe. Sizzling pancakes may be their greatest invention ever. Mine had chocolate chips, bananas, and their usual cream cheese baked into it. So. Good. P.S. I also just watched Boyhood and it was kind of weird. Have you watched it? We should probably talk about it. 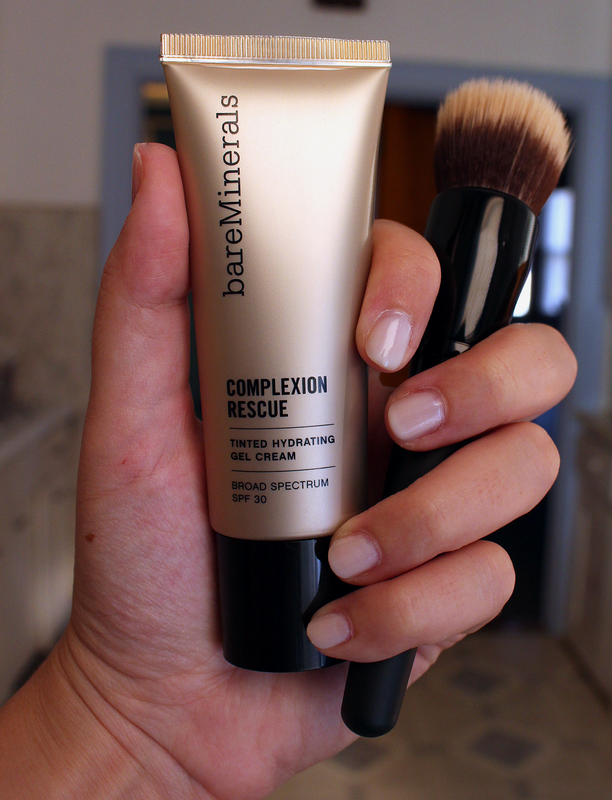 It's kind of light coverage, but it's super moisturizing and it feels really nice on your face. Let me know if you try it!